Kelly was selected for the Darling Downs Athletics Team to compete in the Queensland School Sport Track and Field State Championships next month. Kelly will compete in the 100m track event and relay at the championships which are being held in Cairns. Mr Janetzki was happy to donate $250 to go towards helping Kelly and her family travel to Cairns for the event. “Kelly is exactly the kind of youth athlete who I am keen to support,” Mr Janetzki said. 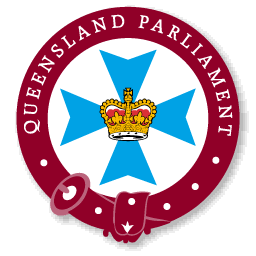 “It will be her first flight up to Cairns and it is a pleasure to know this grant will help get her there,” he said. 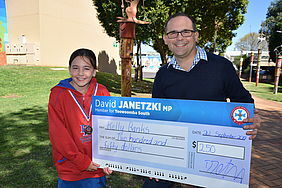 Image Caption: Toowoomba girl Kelly Banks, 10, has received a grant from David Janetzki MP to help get her to Cairns where she will compete in the Queensland School Sport Track and Field State Championships next month.